What a scorcher it has been today, I felt like I was abroad on holiday, it was lovely. I will be keeping you posted on what I got up to this weekend over the next couple of days, but for now I wanted to let you all about a giveaway I am holding. It is my birthday coming up soon and in August I will have been blogging for a whole year, it has gone so quick and it is the best decision I have made in a long time, I have enjoyed every minute of it and have met some amazing people both through the net and face to face. Thank you to all my followers, especially those who have been with me since the beginning and welcome to all my new followers. I love reading all your comments, they make me smile every time. So the giveaway. 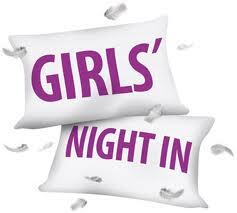 I have opted for a girls night in theme, but will keep the actual items you will be receiving as a little surprise, who doesn't like surprises, right! Here's the button you will need for your sidebar. 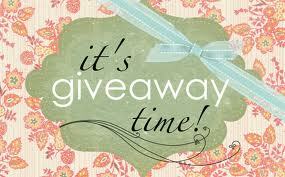 Giveaway closes Sunday 10th July and the winner will be announced Monday 11th July. Oh, added your button to my blog also! Great Giveaway theme, count me in. Aw...poor you - good luck at the dentist. I am a follower already- please can I enter? I love surprises. Thank you for the giveaway! not sure how i missed this one but can i join in too!!! Only just noticed this giveaway! Please enter me.